Stinkwheel Publishing – what we do. I have always believed there is a need in the “classic car” book-publishing world for reasonably-priced, deeply-researched, historically-interesting, enjoyably well-written and illustrated works on the more obscure marques, books which mainstream publishers tend to avoid. 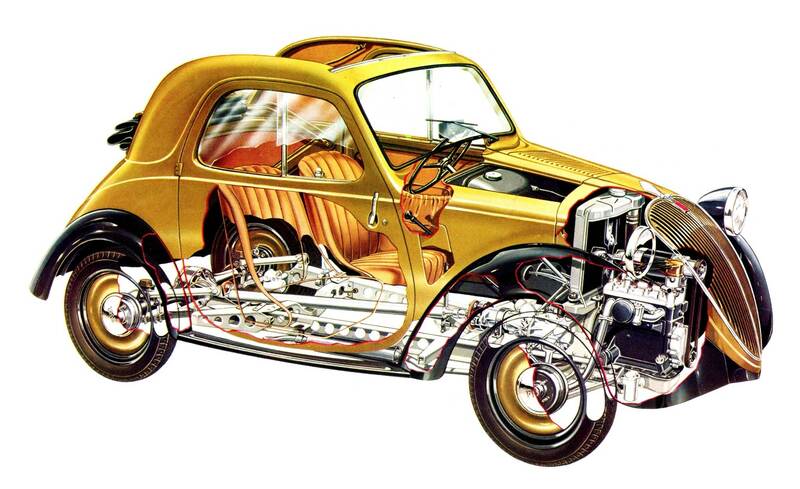 I often include collateral historical information of the period such as important social, economic and political factors (and wars, which push technology through established barriers) that influenced how cars or motorcycles came to be what they were in their time, and which markets were targeted. Stinkwheel Publishing books are not prestige slip-case tomes which cost upwards of £70-£80, there are plenty of such works on the market and most are exceptionally good. Because my books are inexpensive does not mean less time has been taken in researching information or finding illustrations, it just means I make very little profit from them! They are all A4 format, which permits many good-sized images to be included, often several per page, and all books have full-colour laminated soft covers. Stinkwheel books are digitally printed, which allows the inclusion of original period colour images distributed throughout the text, something not possible with conventional lithography. It also means short print-runs of books on uncommon marques are possible and affordable. I have been successfully publishing books on niche subjects since 2004 and have reprinted most titles numerous times. The Stinkwheel name derives from the first book I published 14 years ago, on 1940s and 50s British cyclemotors, “stinkwheels”, and the name stuck – hence also our logo! I hope you enjoy my work. Sincerely, David Beare.